It’s always occurred to me that, of all of the car brands there are, popular songs seem to mention Rolls-Royce a disproportionate amount of times. It sounds like everybody who’s anybody wants to buy a big, blocky sedan with more amenities than your average hotel, and, boy, do they want to tell you about it. At long last, Bloomberg confirmed my suspicion: For the past three years, Rolls-Royce Motor Cars has been the most talked about brand across all of the songs that earned a spot in Billboard’s top 20. Notice that sentence said brands, not just car brands. These rich people—or people who became rich by serenading a car company—really love their Rolls-Royce(s). Bloomberg sifted through lyrics of every top-20 song from May 2014 to May 2017, all for a 12-item list of brand mentions. That’s dedication. But amazingly enough, two-thirds of that list was made up of car manufacturers. Ferrari took second to Rolls, Porsche was fourth overall, Chevrolet and Lamborghini tied for fifth, while Bentley, Cadillac and Mercedes-Benz all tied for a spot on the back half of the list. 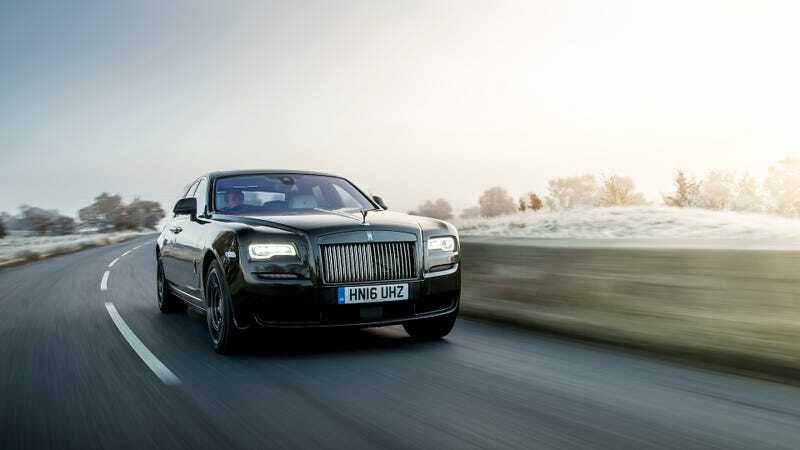 Rolls-Royce tops the list, featured in 11 different tunes by such artists as Future, The Weeknd, and Kodak Black. Ferrari is a close second. Chevrolet, Lamborghini, Bentley, Cadillac, Mercedes-Benz, and Porsche each get touts in several songs. It’d be cool to have the status to brag about my custom Rolls-Royces all day, but, if we’re completely honest here, there aren’t any in my garage. Not even one. I’m plagued with the lackluster life of carting myself around in either a Hyundai Elantra or a manual Honda Civic, not being chauffeured to my destination in the latest Ghost. I don’t think I’d make it into the top 20.